We left Jackson this morning and made a brief detour through Teton Village. 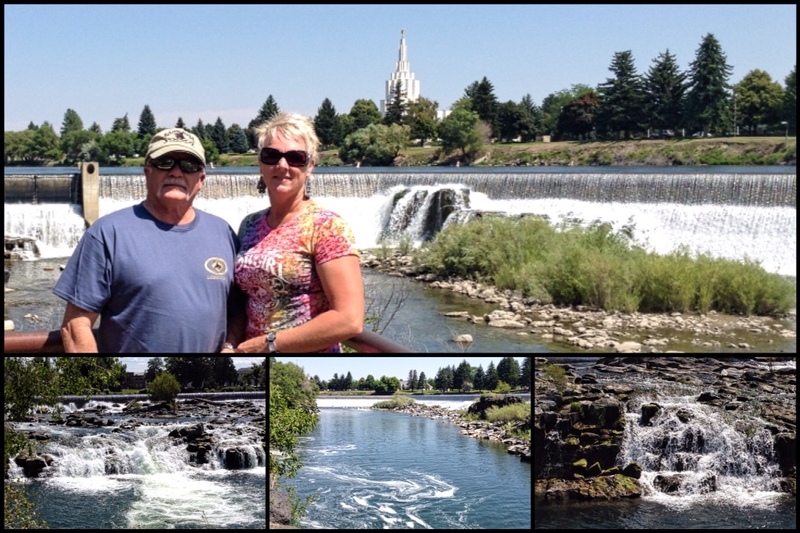 The we headed across the border into Idaho and hit Idaho Falls by lunch time. They are quite beautiful and a neat little roadside park. These falls are right in the centre of town basically. A gorgeous spot for a workers lunchtime stroll or sit and eat. In our usual unconventional style we headed for an optional route across to Arco wanting to visit the Craters of the Moon. 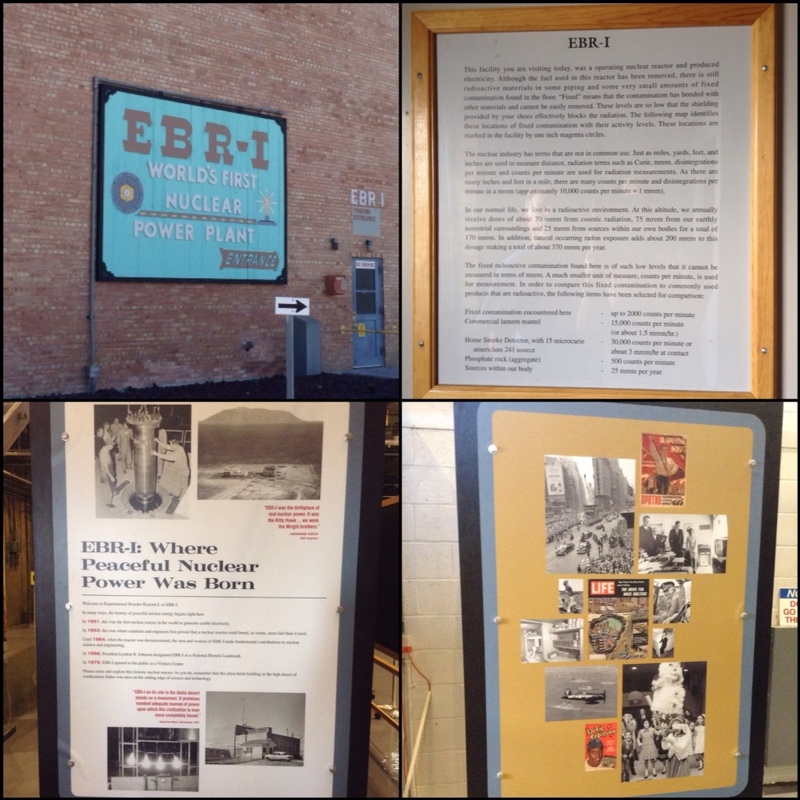 We happened across EBR-1 Atomic Museum. Curiosity killed the cat and we headed in to check it out. It's a bit like a Roswell landscape. Sparse, nothing for miles in between yet there are a number of facilities that form part of the Idaho National Laboratory (INL). Now, again, I will remind you that the following is from a hurried notation during a guided tour by the lovely Jen at the centre. Sitting on a portion of the 89,000 sq miles of land is EBR-1 (Experimental Breeder Reactor-1), The Worlds First Nuclear Power Plant. A huge parcel of land back in the day, more for precaution if anything should go wrong. There are 3 reactors of non commercial variation that carry out experimental works and where scientist can work on their patents etc. They also made the battery for the module that just went past And took photos of Pluto. They also have a Naval Nuclear facility and Land Management division. All under the banner of US Dept of Energy. There are around 3000 employees working across the site that are bussed in each day. 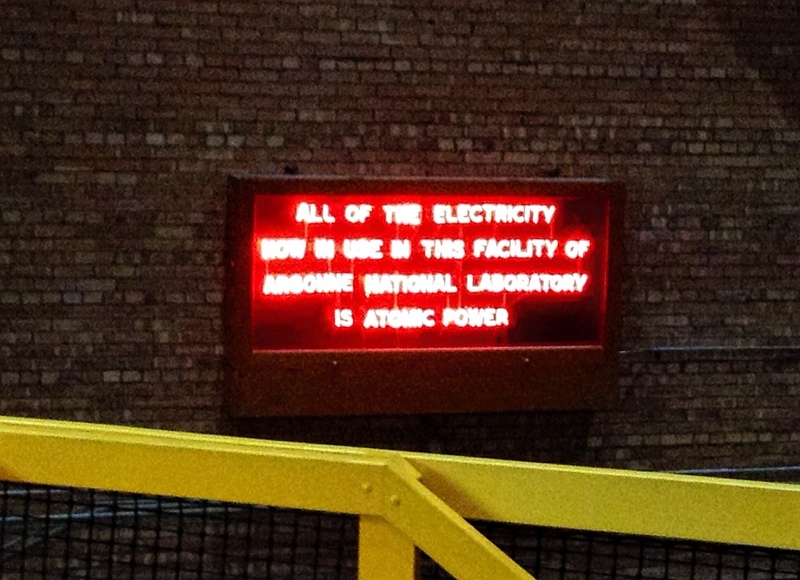 In Dec, 1951 the plant became the first in the world to produce electricity using atomic energy. A whopping 400kw actually, enough to run 4 large light bulbs (I know, I jest). Until its decommissioning in 1964 it generated enough electricity to supply all the power for its own building whenever the reactor operated. Now for a little bit of science. Something about atoms, neutrons, splitting, fission and breeding. How's that! You thought I was going to dazzle you with technical brilliance, lol! Nope not today. Suffice to say the picture tells it all. 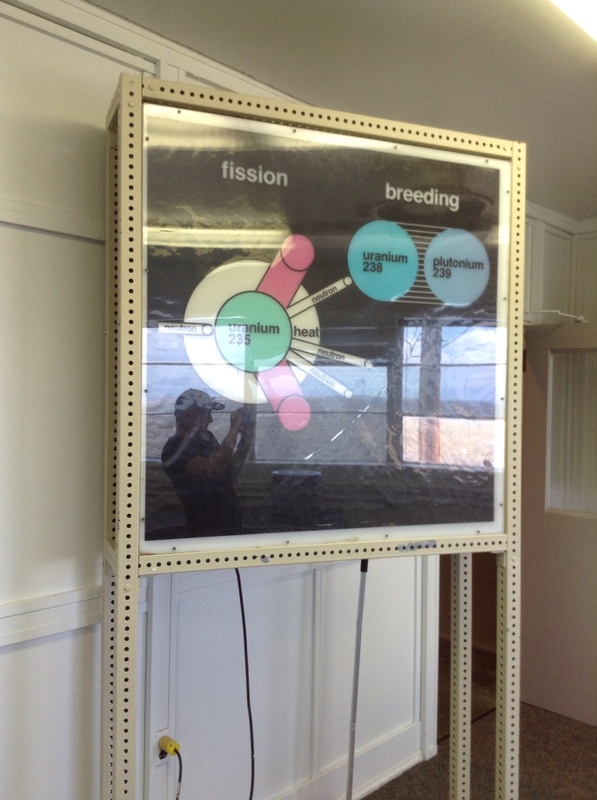 The breeder uses uranium and plutonium to cause the energy. A reactor can not explode like a nuclear bomb but can have a steam explosion or meltdown but double boilers prevent this from happening. He nuclear fuel was created by a fission chain reaction. 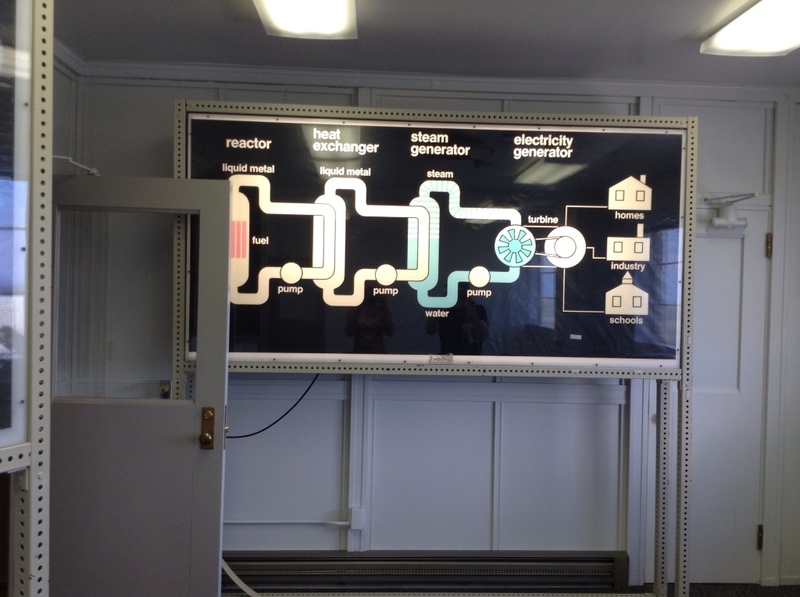 Heat is carried from the reactor core by liquid metal which then heats a secondary system. The liquid metal is called NaK a combination of sodium (Na) and potassium (K). They use Idaho power now which is mostly hydro and wind, so this original sign is now lit for historical purposes only. The bricks from the breeding blanket were pure uranium 238 and weigh 100pds each. You are protected by concrete, lead and shields to view. This is the primary cooler. Dosimeters are present in the building to ensure no one is exposed to any traces. Mineral oil between each of 35 layers of glass to protect them from harm whilst using the manipulator arms in the 'hot cell'. 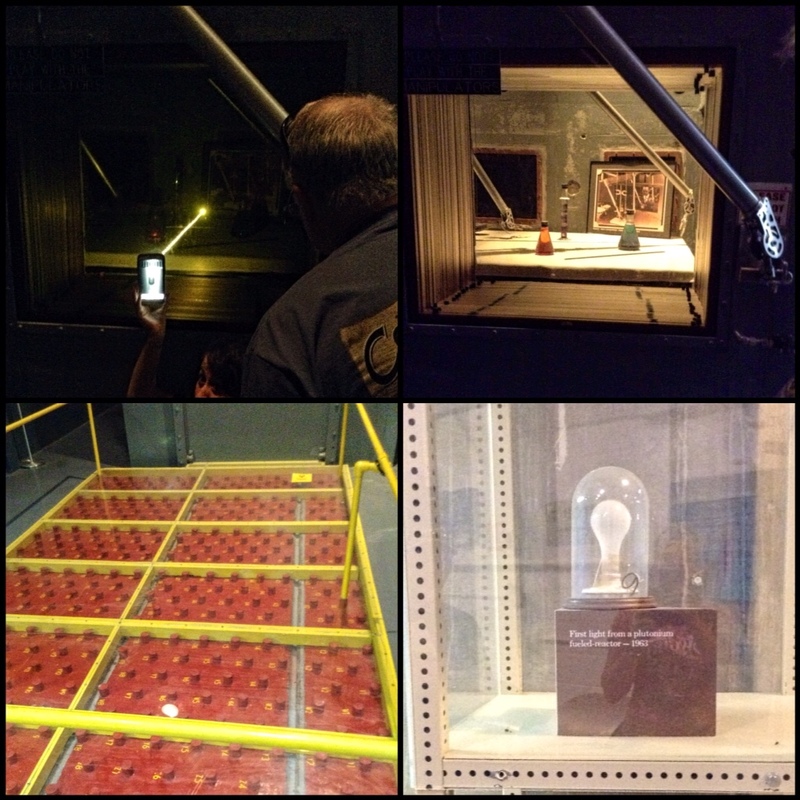 When you run a light through it you can see all the dots as it goes through the glass like a light sabre. 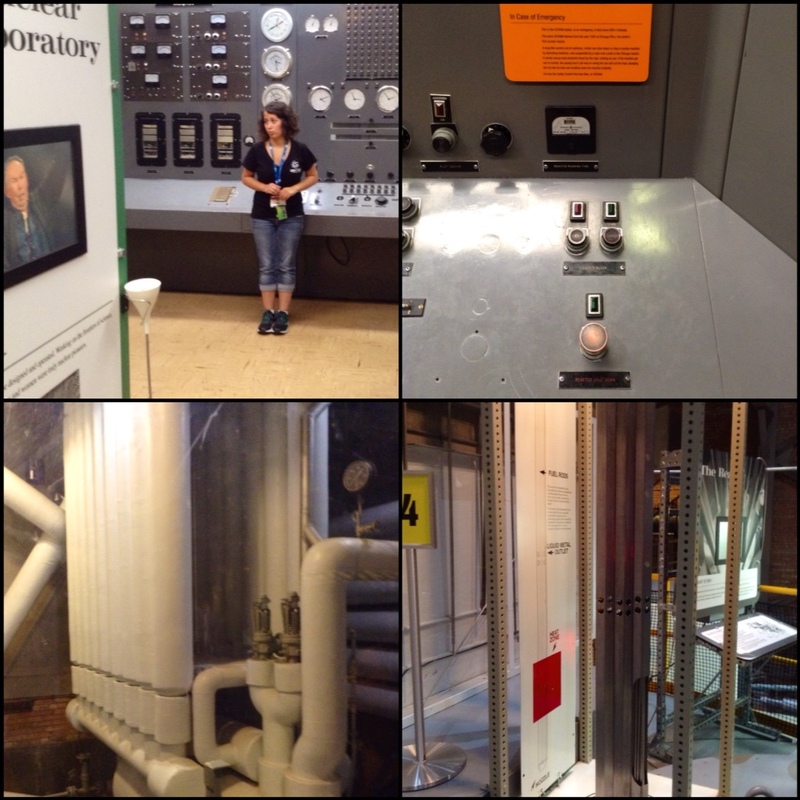 There are roughly 104 plants that use nuclear energy today. Outside, these large engines were to be nuclear powered engines for planes. There is a lot more I could go on about but won't. Thanks Jen for a good tour. 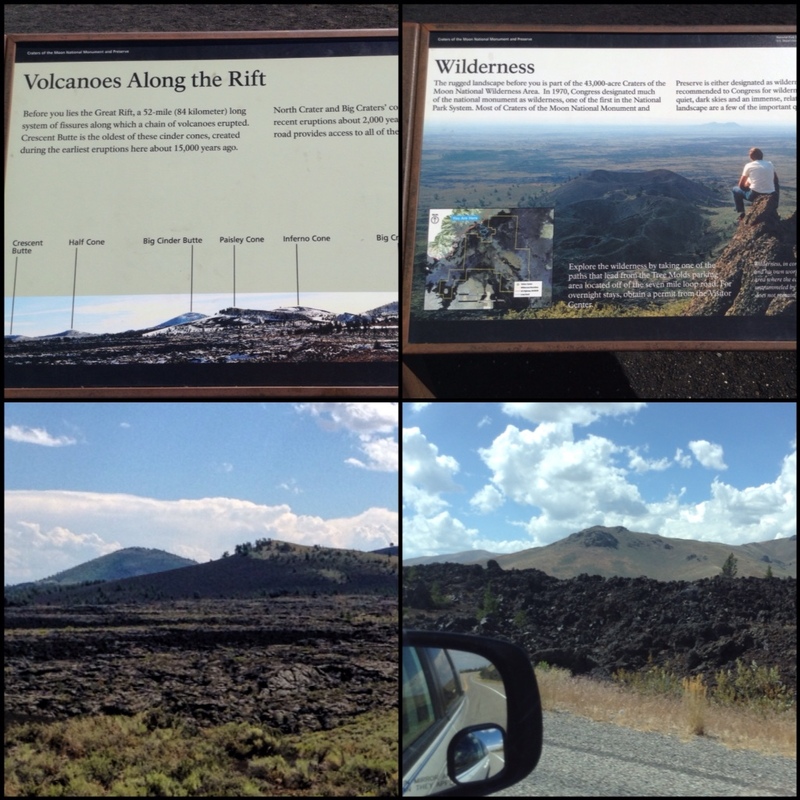 Onward we go, making our way via Craters of the Moon. In short, looks like a sudden field of oversized ploughed up dirt or like massive numbers of dump trucks have dropped loads in uneven piles. In actual fact, it is volcanic rock of various forms. That's it. Will see what's happening in and around Twin Falls. Oh and we will be here for the next 5 days for the Idaho State Championships. Yee haa!